HOW DOES A ST LOUIS BANKRUPTCY STOP A CAR REPOSSESSION? A St. Louis bankruptcy will stop your car creditor from trying to repossess your automobile. Once the bankruptcy petition is filed with the court, an experienced St. Louis bankruptcy attorney can contact the creditor and let them know that they must put an end to their efforts to repo the car. Or in the alternative, if your car has already been repossessed, there is still a chance to get your automobile back to you. The creditor is required by Missouri state law to hold a repossessed car for at least ten (10) days after they regain possession before they sell it to someone else. If in fact a St. Louis bankruptcy is filed within that period of time, then the creditor must give the car back. Once the car is back in your possession, the usual route is a St. Louis Chapter 13. This is a repayment plan in which certain debts are paid back over a period of three (3) to five (5) years. Included in this repayment plan is your car loan (using an interest rate of 4.75% as of July 2013), any tax debt you might have, back child support, or mortgage arrearage (i.e. the amount you have fallen behind on your home loan). 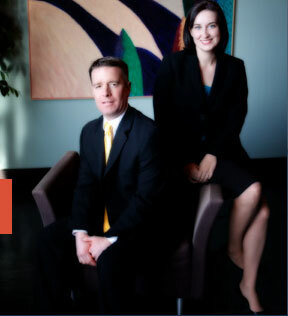 An experienced St. Louis bankruptcy attorney can make sure that your car is kept safe. At Brinkman & Alter, LLC, we have successfully gotten hundreds of vehicles back to their owners after a repossession. In addition, we will stop any wage garnishments, lawsuits, and collection activity that you might be dealing with. The initial consultation to discuss these issues is free of charge. So contact us today to learn more! !